Uric acid is produced in the body. WebMD explains that our bodies create uric acid from the foods we eat and with the natural breakdown of our body's cells. 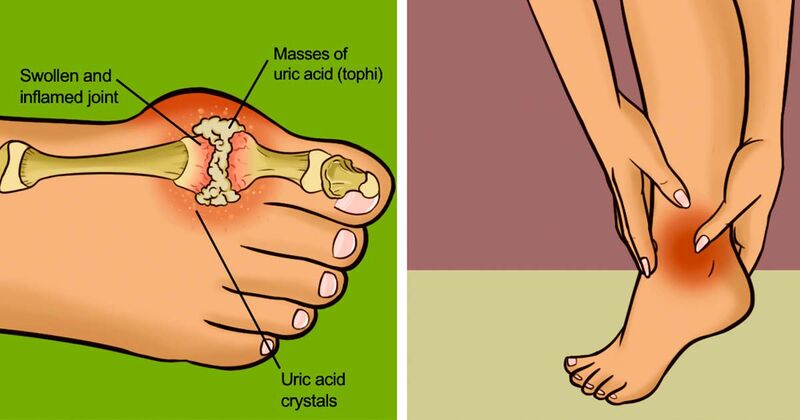 Most of this uric acid is filtered out by the kidneys and excreted in urine, but sometimes the kidneys are unable to remove it from the blood normally, and this increases the level of uric acid in the blood. A high uric acid level is not a disease, and for some people it's a condition that doesn't need to be treated at all. Sometimes there are no symptoms, but if you have a flare of gout or a certain type of kidney stone, consult your doctor about doing a uric acid test. Some medications can also increase uric acid levels, so ask your doctor to perform a uric acid test if you're concerned your medications may be affecting your levels. By no means should you stop taking your medication. If you think it could be increasing your uric acid levels, always consult your doctor before stopping medications. - High uric acid levels and/or joint pain doesn't automatically mean you have gout. - Uric acid can also be measured in urine. - If your blood results are high, your doctor may also perform a urine test to double-check the results. - Uric acid levels increase during pregnancy. Some people with high levels of uric acid might need limited treatment. Others, though, such as someone who is suffering from gout, might be prescribed a diet change, according to WebMD. Or as Health Talk explains, there are certain long-term medications for those with frequent flares of gout. Your doctor will determine whether medication, diet or lifestyle changes are needed to keep your uric acid levels in a healthy range for your body.